The organizers of the U.S.-based HR Technology Conference & Exposition and the workforce-management event HR Summit & Expo Asia have teamed to produce a new HR Festival Asia in May 2019. The two-day conference will focus on the convergence of HR and technology and how it will influence the future of work, especially in Asia-Pacific organizations. 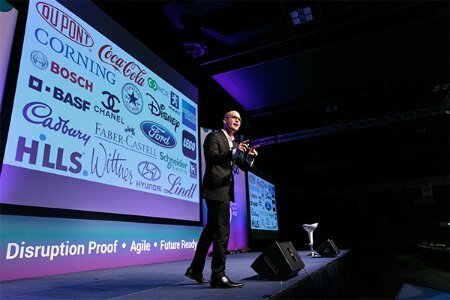 Scheduled to be held in Singapore next May 8 and 9, the organizers are targeting C-level executives, HR tech influencers and decision-makers as their audience. The conference is an evolution of HR Summit & Expo Asia, which has run for more than 16 years. Under the new brand, organizers said, the event will expand to host an estimated 4,000 HR and HCM tech decision-makers. The HR Technology Conference & Exposition, being held Sept. 11 – 14 this year, is produced by LRP Conferences. It faces new competition in the Americas with the launch of UNLEASH America, which was staged in May. The HR Summit & Expo has until now been organized by HRMAsia.